My Business - ﻿ Intellectual Property ServicesPATENT-TECH offers:Compete services for patent applications and prosecution for the U.S. (USPTO) and WIPO (World International Property Organization).Extensive intellectual property search services of both patent and non-patent literature. U.S. patents and international patents are searched.Business Planning, Product/Licensing Strategy, Competitive and Market AnalysisWireless technical standards analysis, strategy and supportWe provide these services to law firms, corporations and individual clients.Technical Standards Analysis, StrategyBroadband Communications, 2G/3G/4G Cellular, Microwave/SONET/T1/T3, WLAN, Bluetooth, Mobile Internet, Location technologies, Networking/IP/Ethernet Switching, Multimedia﻿/Video/MPEG 2/4/H.264/H.265/HEVC/DASH﻿Patent Search/Freedom to operate/invalidity analysis﻿/Licensing analysis﻿Patent Application and Prosecution - USPTO & PCTPATENT-TECH can prepare and prosecute your application for the USPTO and/or the WIPO. The key elements of the process are:Client prepares patent disclosure of the key element of the inventive concept. Patent-Tech can provide a form for this disclosureClient and PATENT-Tech discuss and agree on the intellectual property strategy for these applications. 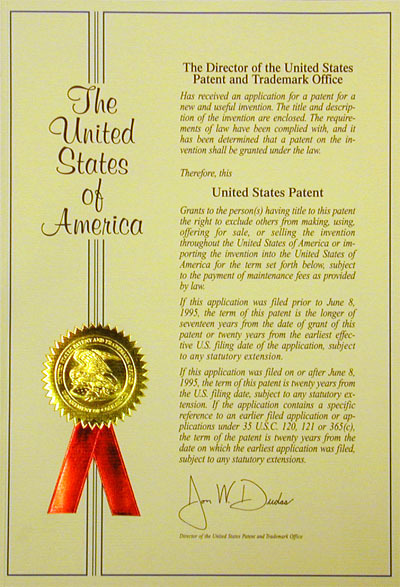 Some elements of this strategy include:Type of patent:Provisional, Design, Utility, Continuation, DivisionalApparatus, method/process, product, composition, new use, business method.International patent strategyAccelerated Examination/Special PriorityBusiness strategy and product launchPatent Preparation and Submission, with Client review.Patent ProsecutionOffice Actions and ResponsesExaminer InterviewsThe Goal: Patent Allowance.Patent Search and Analysis ServicesNovelty/Patentability Search– In order to determine the patentability of the inventive concept, a Novelty/Patentability Search can be conducted. This search can be based upon the inventive disclosure (Basic) or preliminary draft of the claims (Claim Search). The client report will contain a list of relevant patents, non-patent literature (NPL) references, and a patentability opinion. The client may request this information be prepared in the form of an Information Disclosure Statement (IDS).If the client selects PATENT-TECH to prepare and submit the patent application, the cost for the Basic Search will be credited from the patent application costs. Validity Search – This search can be conducted if there is a question whether the claims of an existing patent are valid. The Validity Search will find prior art that is relevant to the validity of each claim in the patent. The client report will contain a list of the relevant references, on a claim by claim basis. State-of-the-Art or Competitive Search – The scope of this search is based upon the questions/interest of the client. Basically, the client has an interest to get a structure report of the state-of-the-art of a technology or business. The client report will contain a summary and opinion, and a list of relevant patent and non-patent references. Accelerated Examination Search – With the USPTO Accelerated Examination option, the applicant will receive an initial Office Action within 12 months of filing. However, the patent applications submittal requires an Accelerated Examination Support Document (AESD). This Document requires an extensive search on a claim by claim basis, including identifying all of the limitations in the claims that are disclosed by the reference and specifying where the limitation is disclosed in the cited reference. The client report contains the AESD for the patent applications. Compete services for patent applications and prosecution for the U.S. (USPTO) and WIPO (World International Property Organization). Extensive intellectual property search services of both patent and non-patent literature. U.S. patents and international patents are searched. We provide these services to law firms, corporations and individual clients. Apparatus, method/process, product, composition, new use, business method. Patent Preparation and Submission, with Client review. Novelty/Patentability Search– In order to determine the patentability of the inventive concept, a Novelty/Patentability Search can be conducted. This search can be based upon the inventive disclosure (Basic) or preliminary draft of the claims (Claim Search). The client report will contain a list of relevant patents, non-patent literature (NPL) references, and a patentability opinion. The client may request this information be prepared in the form of an Information Disclosure Statement (IDS). If the client selects PATENT-TECH to prepare and submit the patent application, the cost for the Basic Search will be credited from the patent application costs. Validity Search – This search can be conducted if there is a question whether the claims of an existing patent are valid. The Validity Search will find prior art that is relevant to the validity of each claim in the patent. The client report will contain a list of the relevant references, on a claim by claim basis. State-of-the-Art or Competitive Search – The scope of this search is based upon the questions/interest of the client. Basically, the client has an interest to get a structure report of the state-of-the-art of a technology or business. The client report will contain a summary and opinion, and a list of relevant patent and non-patent references. Accelerated Examination Search – With the USPTO Accelerated Examination option, the applicant will receive an initial Office Action within 12 months of filing. However, the patent applications submittal requires an Accelerated Examination Support Document (AESD). This Document requires an extensive search on a claim by claim basis, including identifying all of the limitations in the claims that are disclosed by the reference and specifying where the limitation is disclosed in the cited reference. The client report contains the AESD for the patent applications.